From 2009-13, Assistant Professor Ben Coonley’s made a series of web videos illustrating findings from the burgeoning field of experimental philosophy, an interdisciplinary practice that uses empirical research methods borrowed from psychology and social sciences to investigate philosophical concepts. The first video in the series is based on a well-known study by Joshua Knobe titled “Intentional Action and Side-Effects in Ordinary Language.” Narrated by the comedian Eugene Mirman. This video illustrates findings from a controversial study called “The Ordinary Concept of Happiness (and Others Like It).” The video is narrated by a cognitive scientist named Laurie Santos. It should be noted that Professor Santos didn’t have anything to do with the original study. She was asked to be the narrator because she is a tremendous lecturer who can speak very quickly. The online video uses the rudimentary interactive features of YouTube to force viewers to click from one section to the next, thus allowing us to record viewer responses to questions at each stage. This video illustrates “Folk Moral Relativism,” an experiment that was designed to test the claims of several traditional philosophers that non-experts (folk) tend to hold absolutist views of morality. 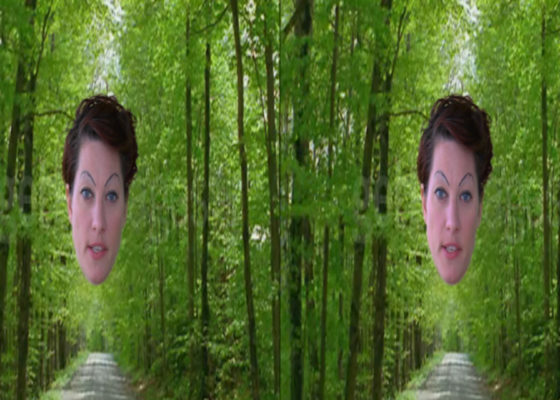 The video uses stereopsis—the neurophysiological fusion of two slightly different but converging perspectives (of the left and right eye) to create a sense of depth—as a visual analogy for one kind of commonly experienced human “relativism.” If you turn on YouTube’s 3D features and have 3D glasses, you can see narrator Amanda Palmer’s disembodied head floating around in three-dimensional space. Ben Coonley is an Assistant Professor of Film & Electronic Arts at Bard College.